ALEPH is proud to support and co-sponsor this great Pre-Kallah event with many of our friends! If you can’t make Kallah this year, or even if you can, this is a terrific event to attend. 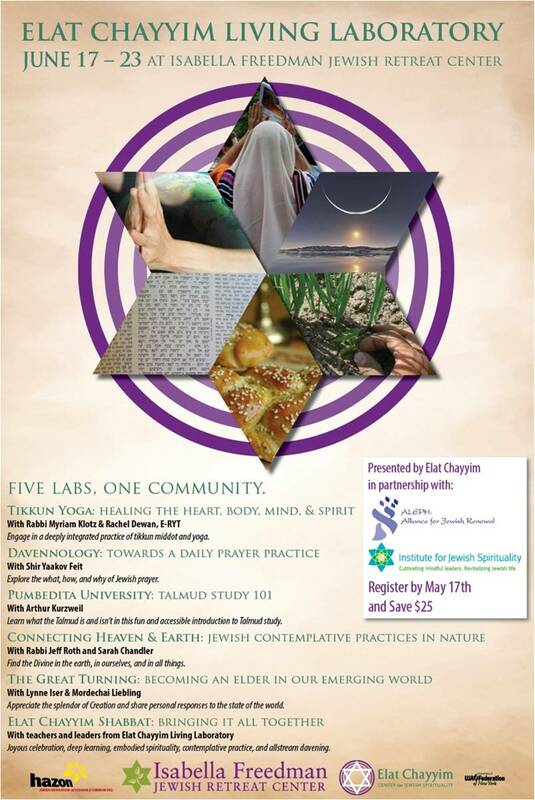 Use the Coupon code “ALEPH” when registering, and save $50 on your registration. Posted in General Interest, Learning Opportunties and tagged A, aleph kallah, elat chayyim, jewish renewal, Kallah. Bookmark the permalink. Beit Midrash Summer Classes! Siddur and Hebrew!